The 3100-block of Porter Drive was closed to all traffic after a grenade was found on a construction site, police said, Monday, Nov. 30, 2015. The Santa Clara County Sheriff’s Bomb Squad performed a control detonation Monday after workers at a construction site at the Stanford Research Park in Palo Alto discovered an inert hand grenade, prompting evacuation and shelter-in-place orders, police said. People at 3145 Porter Drive were evacuated while those at the adjacent address of 3155 Porter Drive were asked to shelter in place, according to police. The 3100 block of Porter Drive was temporarily closed Monday afternoon while the bomb squad investigated the device, police said. The road remained closed for a few hours until authorities detonated the device. 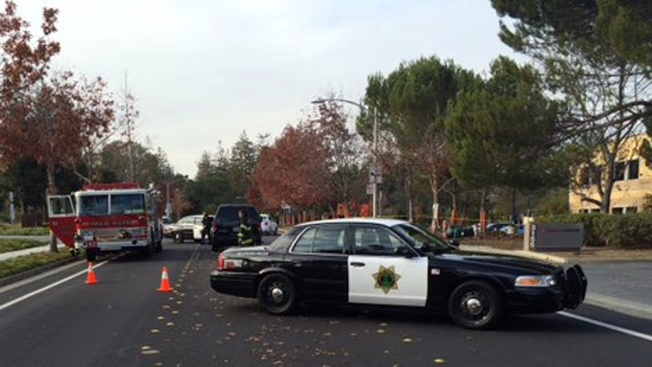 "Turns out it was an inert grenade," Palo Alto police tweeted after the detonation. "The scene is safe."